One a day, and only on weekdays when I'm in town. ...but there are still plenty to come. It ain't braggin' if ya done it. You do great work Paul...I really like the 'save' on that chopper abomination. Yeah, great save on that chopper abomination! 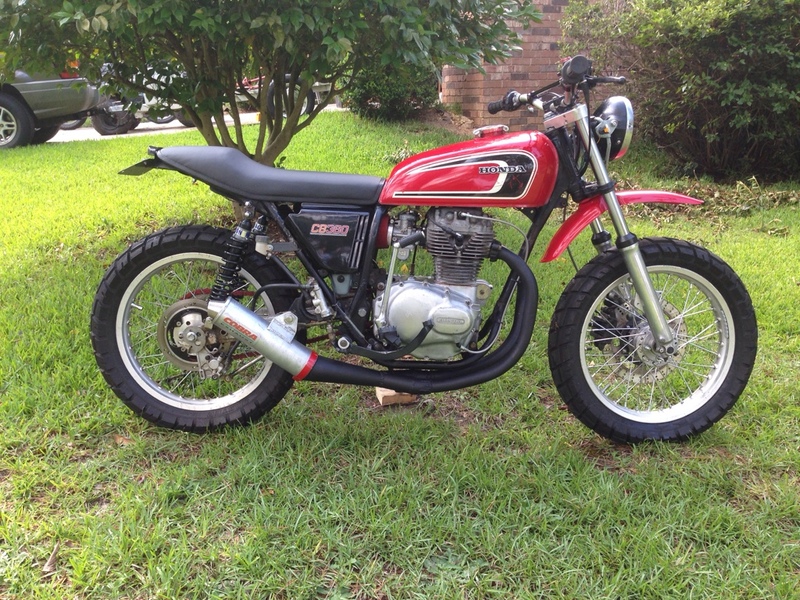 Before & After of a client's '72 Norton Combat 750 Commando with Dunstall bodywork - had got hit by a car 15 years earlier and the bike sat and rusted in the Florida salt air. It got nice alloy wheels laced with stainless spokes by Buchanan's, drilled and Blanchard ground the front brake disc, K&N dual neck air filter, Sparx electronic ignition (which to this day, after over 40 units installed, is the ONLY one that has ever failed me, TWICE!). Client claimed he couldn't tell the restored bike from the original except for the wheels & pipes. No question it'll do the ton, with ease. These were the leftovers from 4 lot purchases to salvage (2) ZRXs, and an engine purchase to make it worthwhile to build the 3rd ZRX. Do the ton? Oh yeah, in 3rd gear (and its a 5-speed), and it's not even breathing hard. 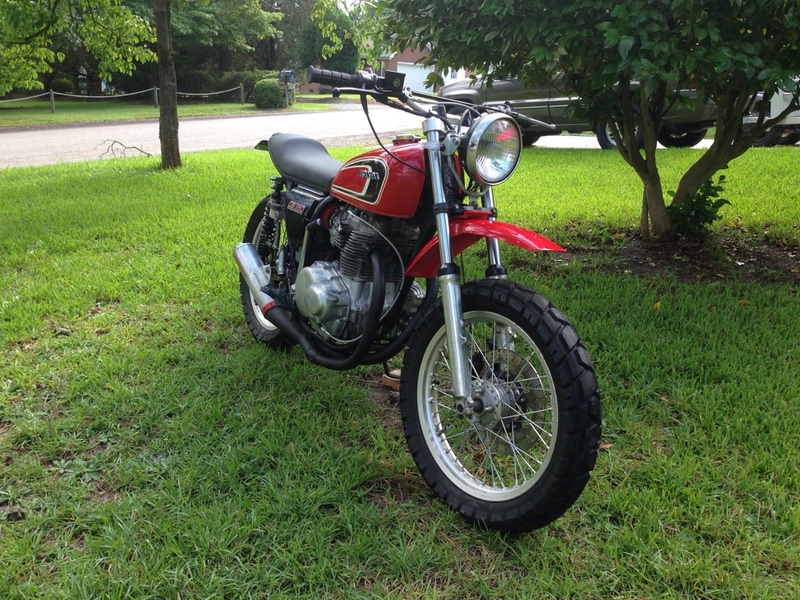 Another CB360 (now 378). I have a weird love for these little guys. Nice job. These are fairly easy bikes to work on imho. I love that you brought one back to life instead of parting it out. I have my original and another parts bike same color same year, just in case. The Ton comes up pretty quick if you aren't watching for it. Best all around motorcycle I've ever known. 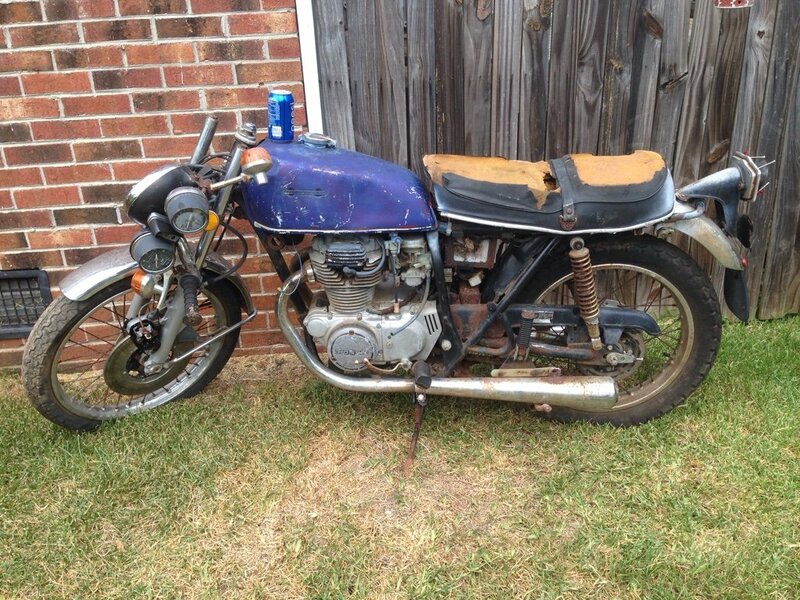 From fugly yard art to moto-glory! Best all around motorcycle I've ever known.